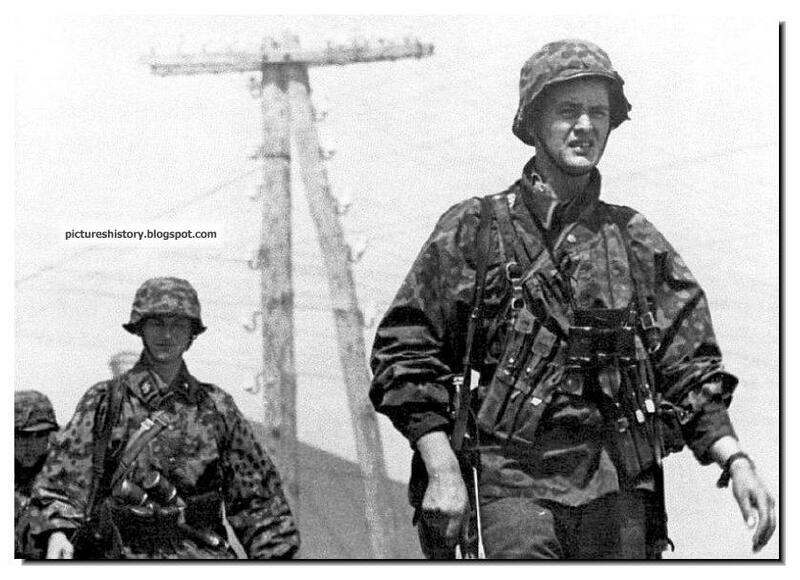 WHY HAS WAFFEN SS BECOME A CULT? 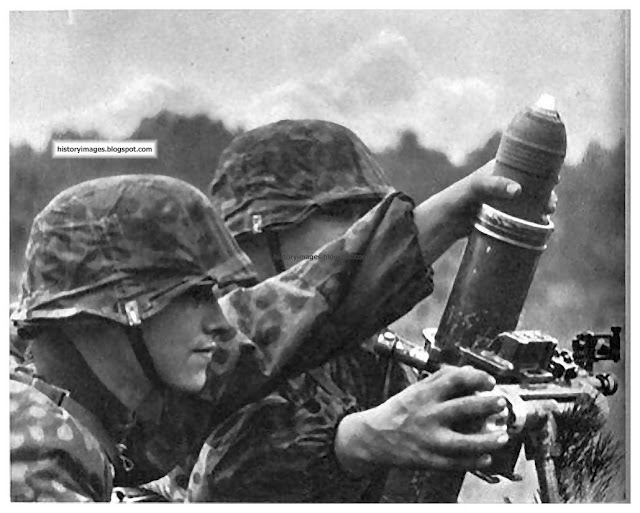 It was way back in 1945 that the last gun of a Waffen SS soldier fell silent. One wonders why they still live in our collective consciousness. Some of the things that some of them did was downright evil. Following blindly the dictates of a man possessed with a mad but twisted love for Germany. But surprisingly in an online poll nearly 48% of the respondents said that Waffen SS soldiers were great warriors. Of the rest only 22% said that they were mere fanatics. 30% said they were something between; an admixture of great fighting men and fanatics. The question remains, why? 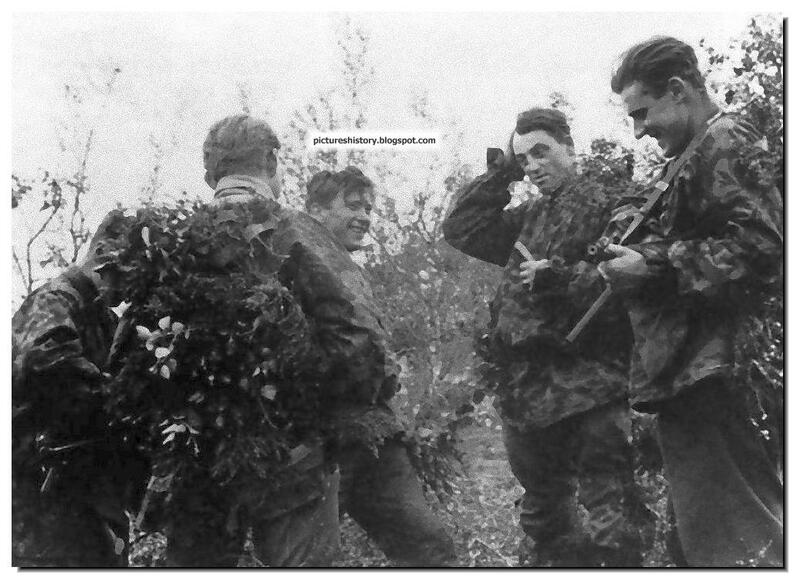 Why this fascination for the men of the Waffen SS? May be the answer lies in the fact that today we live in times bereft of any values and beliefs. Making money. And more money, seems to be only mantra of life. Owing to this a certain weariness, an emptiness has crept in. We are at times sick of this materialistic life. Waffen SS. Driven men. Strongly bonded together. Led by capable, equally driven capable leaders in a structure that was less rigid, less formal and more comradely than the Wehrmacht. Men who thought nothing of their own lives. To fight. Fight for their country. This appeal, I think, will remain timeless. It is not the appeal of Nazism. But of these men who fought many, many years ago. The 8th SS Cavalry Division Florian Geyer was a Waffen-SS cavalry Division during World War II. 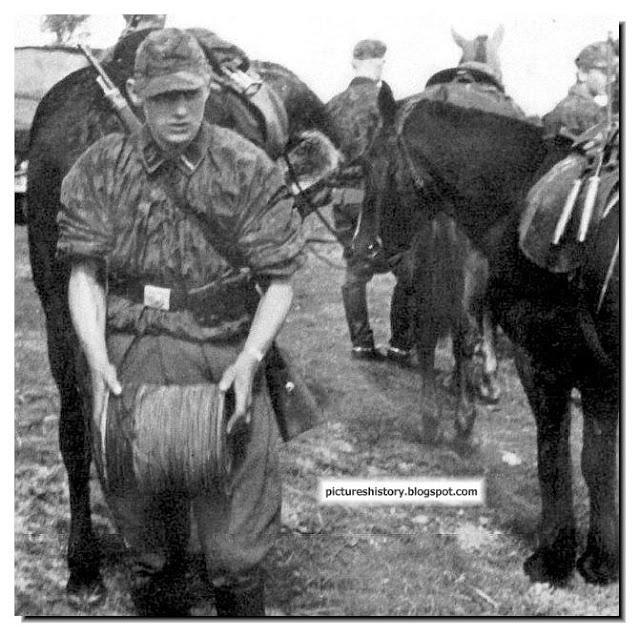 It was formed in 1942 from a cadre of the SS Cavalry Brigade which was involved in anti partisan operations behind the front line and was responsible for the extermination of tens of thousands of the civilian population. About 40% of the division were Volksdeutsche from Siebenbürgen (Transylvania) and Banat (Serbia). The Training and Replacement Battalion of the 8th SS Cavalry Division was involved in suppressing the 1943 Warsaw Ghetto Uprising. In March 1944, it was named after Florian Geyer (1490–1525), the Franconian nobleman who led the Black Company during the Peasants War. The Division was destroyed during the fighting in Budapest in early 1945. Untersturmfuhrer SS of the SS brigade of "Langemarck". 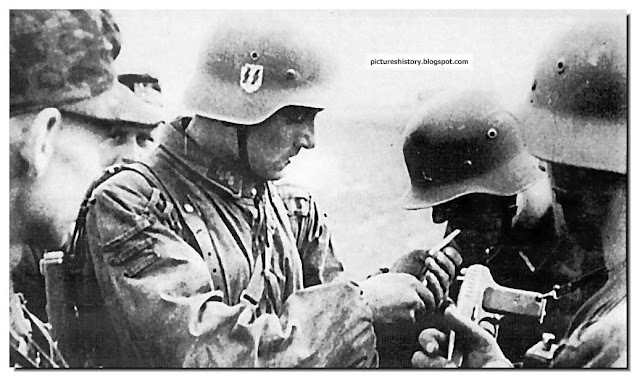 Untersturmfuhrer ( a rank in the Waffen SS) was the equivalent of second lieutenant in other armies. 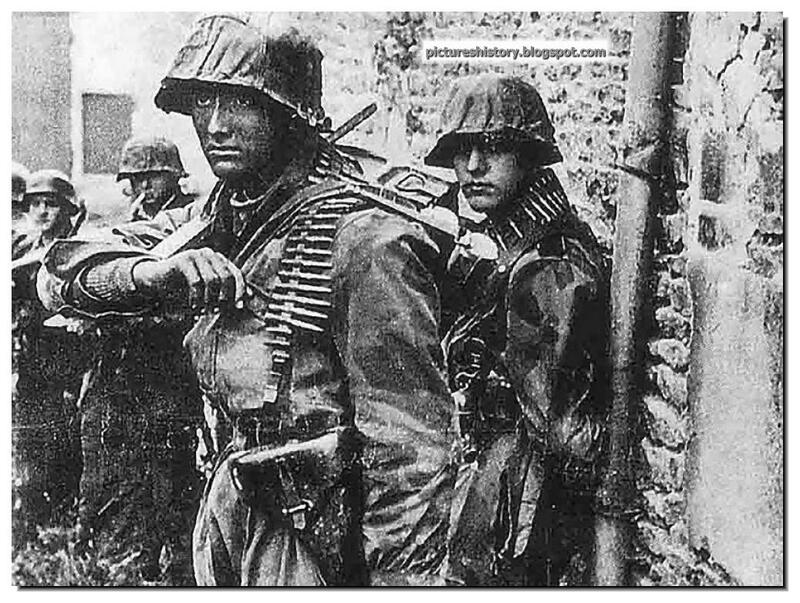 The 27th SS Volunteer Division Langemarck was a German Waffen-SS volunteer division comprising volunteers of Flemish background. It saw action on the Eastern Front during World War II. 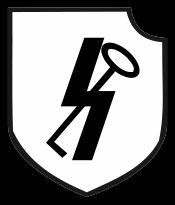 The formation started as the 6th SS Volunteer Sturmbrigade Langemarck and in September 1944 the Sturmbrigade was raised in status to a division, but its strength never reached more than a brigade. 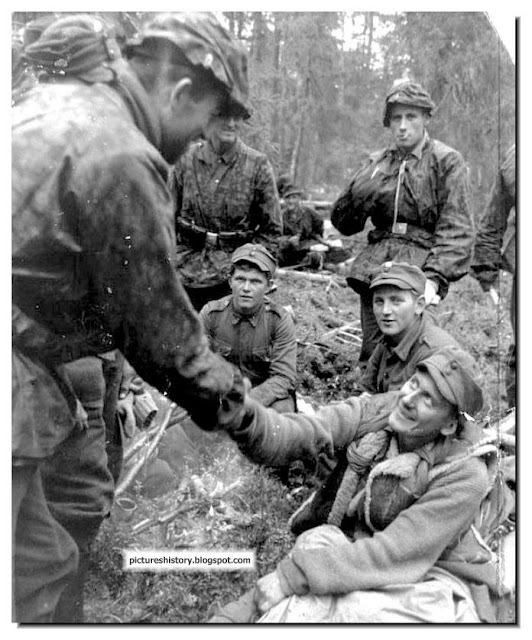 A soldiers from the Waffen SS Nord Division shakes hands witha wounded Finnish soldier. 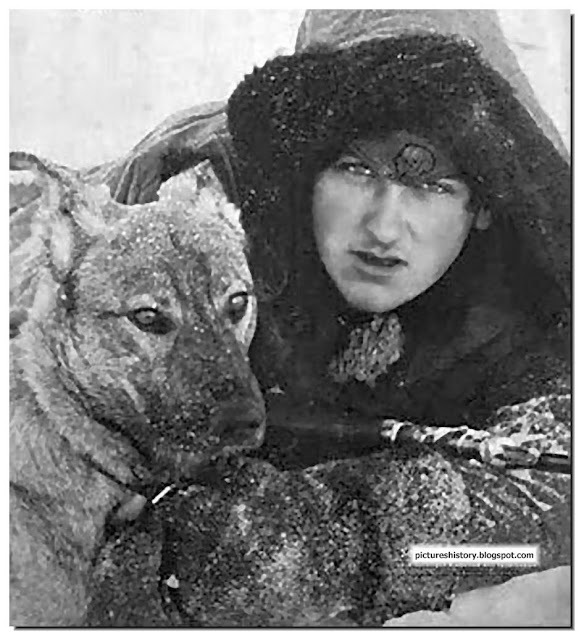 The 6th SS Mountain Division "Nord" was a German unit of the Waffen SS during World War II, formed in February 1941 as SS Kampfgruppe Nord (SS Battle Group North).The Division was the only Waffen SS unit to fight in the Arctic Circle when it was stationed in Finland and northern Russia between June and November 1941. It fought in Karelia until the Finnish armistice in September 1944 when it marched on foot 1,600 km through Finland and Norway. It arrived in Denmark in December and then transferred to western Germany. It fought in the Nordwind offensive in January 1945, where it suffered heavy losses and surrendered to the American forces in Austria at the end of the war. 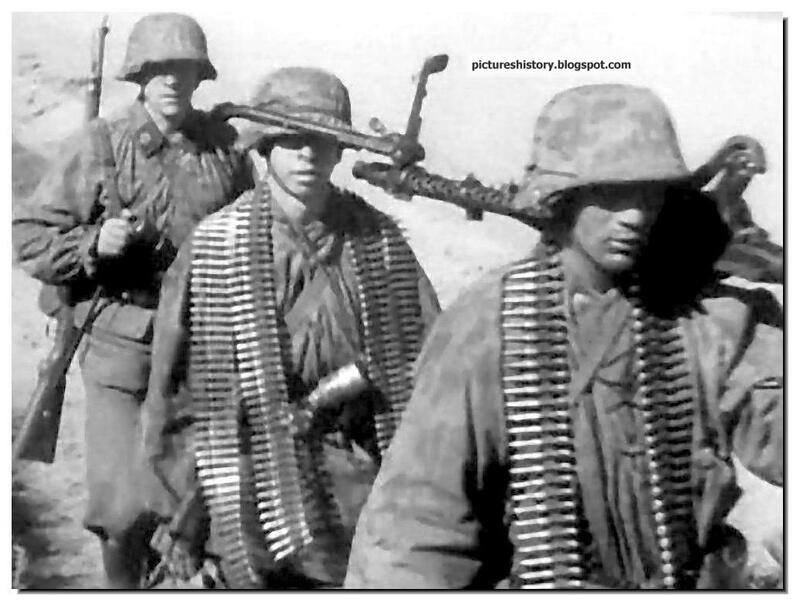 Elite Waffen-SS was a formidable opponent on the battlefield. 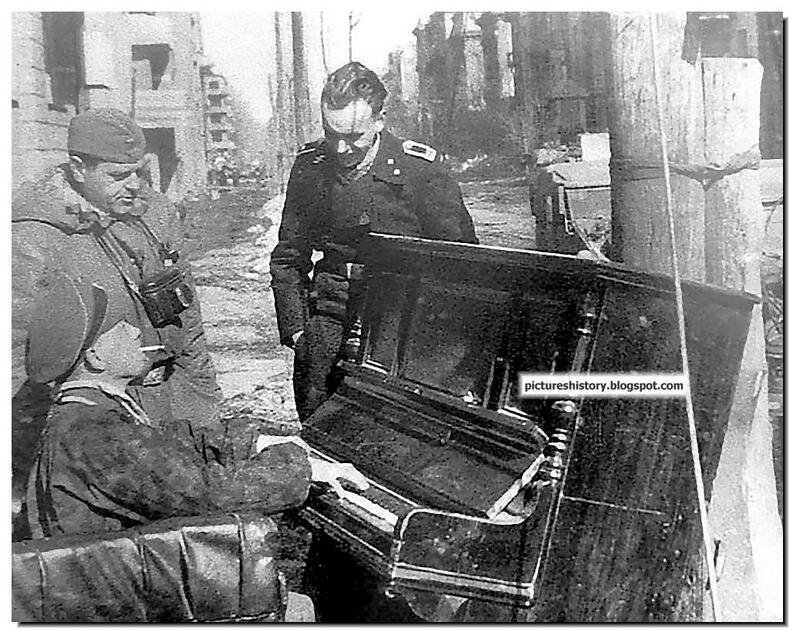 Many a time, they saved the German army from total destruction. Their reputation was formed mainly on the eastern front at the beginning of the war. They also behaved heroically in the west in 1944-1945. However, they were one of the most unpopular regimes in history. The members of the elite Waffen-SS were mostly volunteers and the fanatical Nazi. They firmly believed in the justice of their cause and fought with the fervor usually absent from the Allies. However, this passion existed not only in the elite divisions. In a million (or thereabouts) of people who served in the Waffen-SS, a third died in the fighting. This is - an unprecedented level of loss is not characteristic for any other army (except, of course, the Imperial Japanese Army). 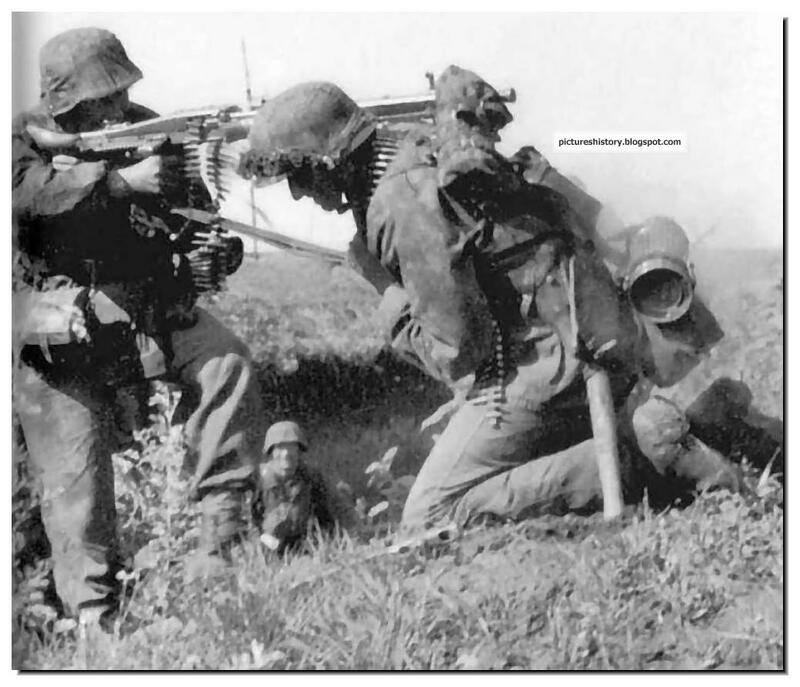 However, military professionalism, fighting spirit and zeal of the Waffen-SS units were unable to resist the military superiority of the Soviet Union, Britain and the United States. 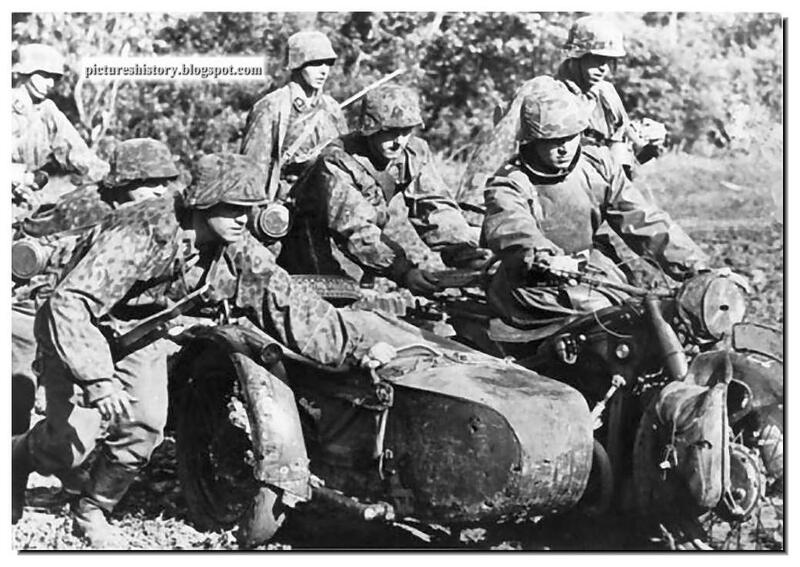 War on the Eastern Front was the decisive battle for the Waffen-SS.This elite force of Nazi Germany had the most difficult and most important battles to fight. 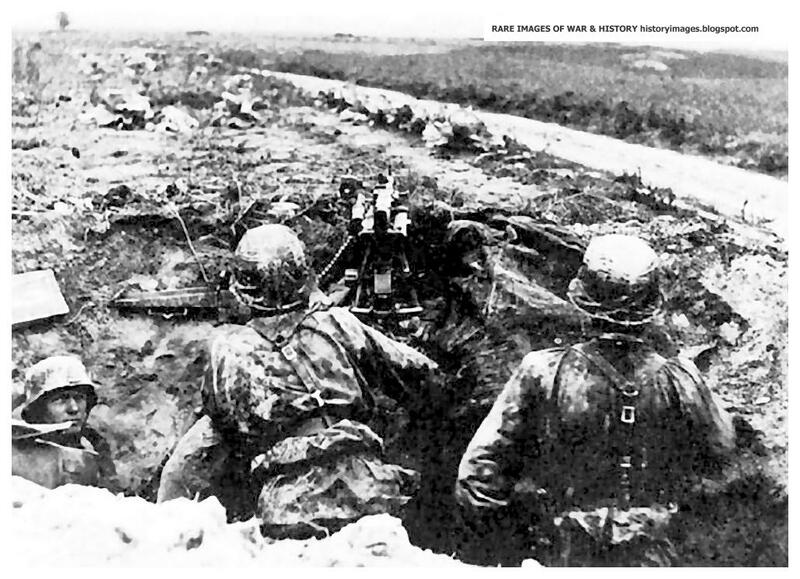 But the superiority of the enemy was too great, and, finally, the Red Army prevailed. The collapse of the Eastern Front was only a matter of time, conscious of the fact that the Soviet Union produced three times more tanks than Germany. But still, it was not a question of numbers (that is a common explanation of reasons for the defeat of Germany). In addition, Stalin was fortunate to have amazingly talented generals. 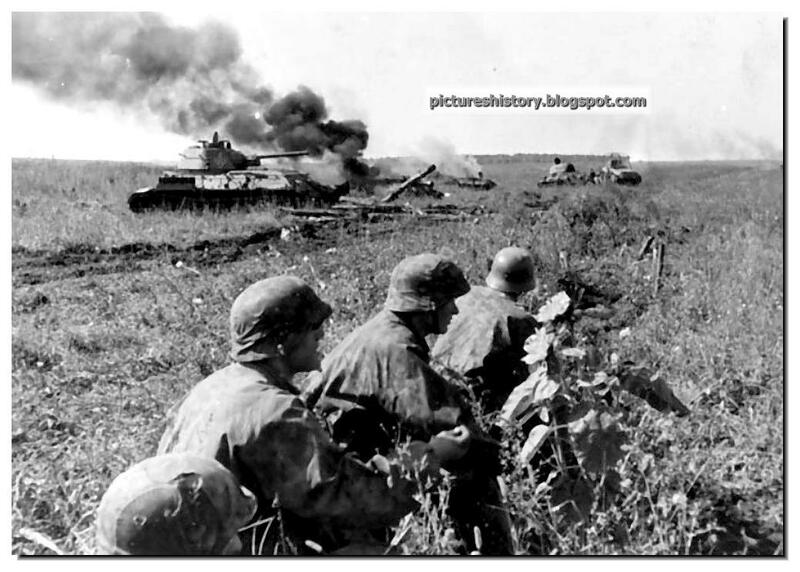 Some key points were Russian advantage, make the right strategic decisions, such as the operation "Citadel" Kursk meant to challenge for her participation in the armored divisions of the Waffen-SS in Kharkov front before the Soviet summer offensive in August 1943. 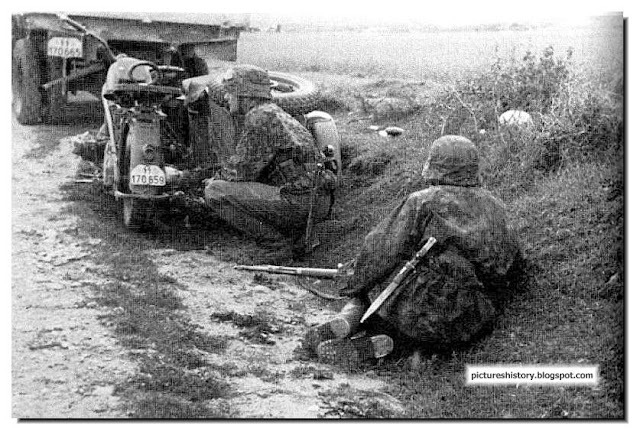 During the war in the Eastern Front the Waffen-SS proved itself as a formidable force, caused severe damage to the Allies in Normandy in the summer of 1944 and later - in Arnhem and the Ardennes. 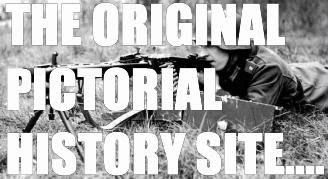 Tactics and operations, used on the eastern front, were a real shock to the British and American armies, when they landed in Europe and when they first encountered the tanks of the Waffen-SS. The Western allies were so impressed with the new tank tactics that after the war they used them, and many German tactical decisions become the basis of plans developed by NATO repel the Soviet invasion of Western Europe. The SS Division Totenkopf ("Death's Head"), also known as 3. 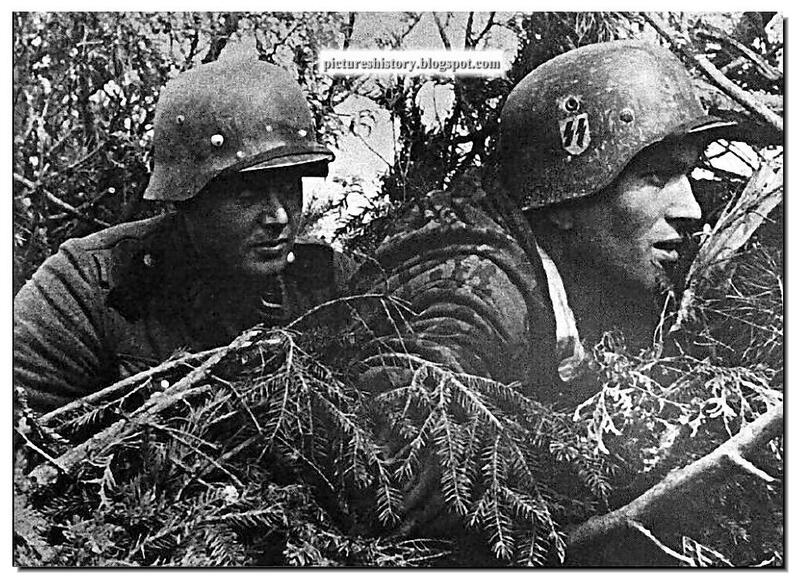 SS-Panzergrenadier-Division Totenkopf and 3. SS-Panzer-Division Totenkopf, was one of the 38 divisions fielded by the Waffen-SS during World War II. Prior to achieving division status, the formation was known as Kampfgruppe Eicke. The division is infamous due to its insignia and the fact that most of the initial enlisted soldiers were SS-Totenkopfverbände (SS concentration camp guards). 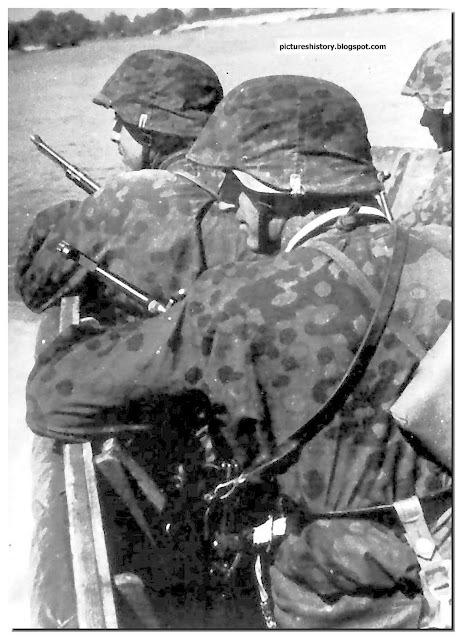 The Totenkopf division was numbered with the "Germanic" divisions of the Waffen-SS. These included also the SS-Panzer Division Leibstandarte SS Adolf Hitler, SS-Panzer Division Das Reich, and SS-Panzer Division Wiking. Soldiers of the Waffen-SS during World War II committed many atrocities, not only on the battlefield. They were the first soldiers of the Third Reich for the purity of race and despised by all those whom Nazi ideology declared to be of an inferior race. Not highly valuing their own lives, they did not consider the value of the lives of their enemies. 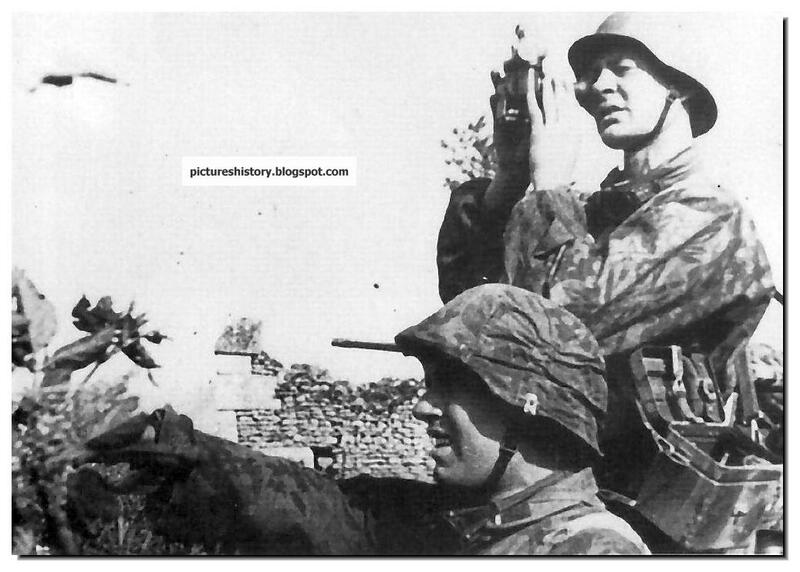 The outstanding military skill of elite tank divisions of the Waffen-SS is rarely questioned. They really were a formidable fighting force. However, part of the Waffen-SS in the massacres across Europe during the war cast a shadow on honest military victory. 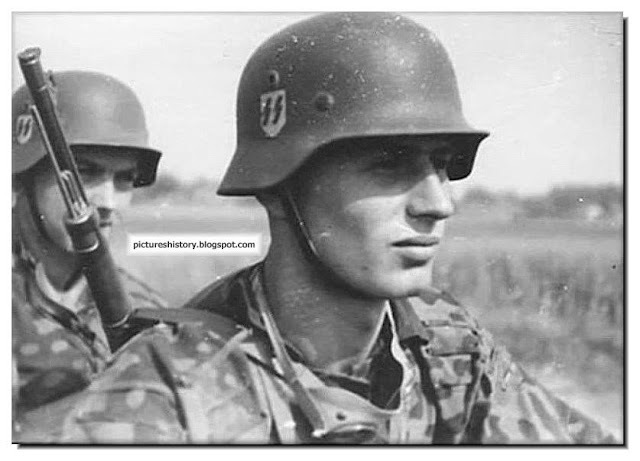 Defenders of the Waffen-SS usually portray themselves as separate and isolated military branch of a large organization, the SS, had not participated in the genocide of Jews and other races that were considered by Hitler and his racial ideology of the "subhuman." Though the Waffen SS were not part of the Nazi killing machine, they knew what was going on. 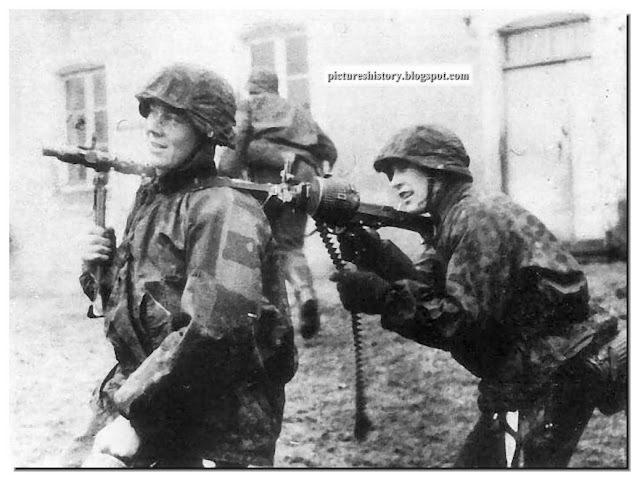 The war in Russia showed the Waffen-SS in its true light. 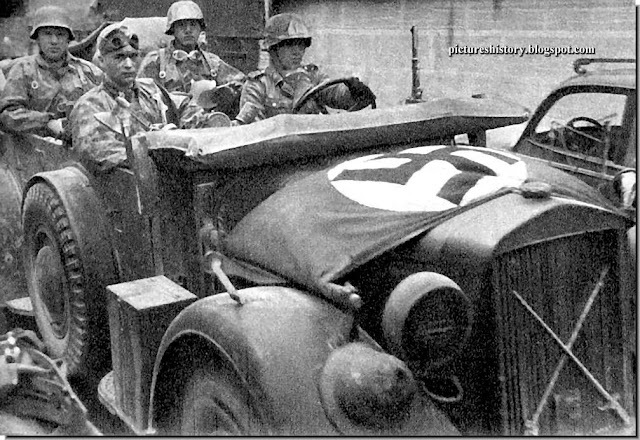 The armed forces of Hitler's SS were the vanguard of the race war . They showed no mercy to the racial and political opponents of Nazism. Lives of the Jews and the Russian did not have any value, according to Nazi ideology, they could only be used for forced labor for the benefit of Germany. Russian citizens were treated with contempt by the SS, their property, crops and dwellings were seized, even if it led to the death of the owners, given the harsh climate of the country. 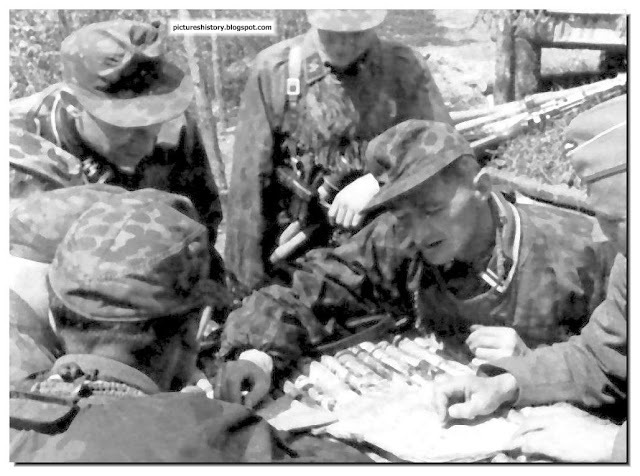 The Soviet officers and commissioners at the hands of representatives of the Waffen-SS. in accordance with the "commissar order" issued by Fuhrer, simply shot. 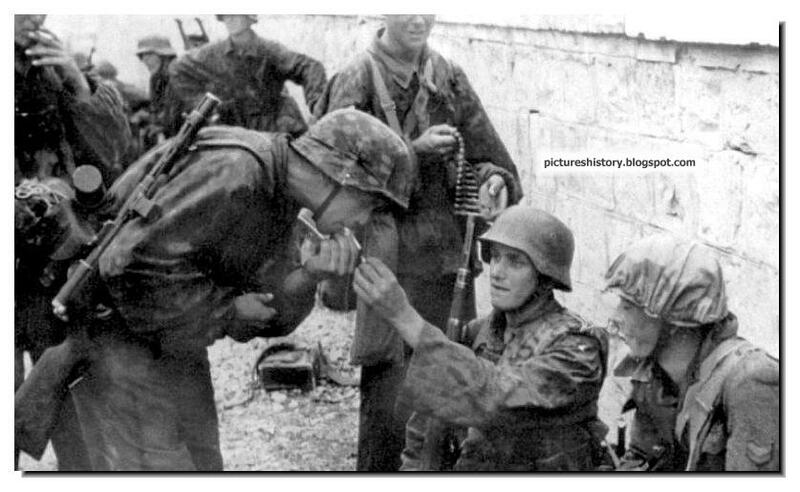 To the Soviet soldiers captured the Waffen SS, did not apply the Geneva Convention. They were usually left hungry and did not receive medical care. The execution of hundreds of Soviet prisoners of war was commonplace in parts of the Waffen-SS. Once more than 4 thousand prisoners were killed in four days by the Division "Leibstandarte." Killings of thousands of civilians as an act of revenge for the attack guerrillas was also common practice for the Waffen-SS. 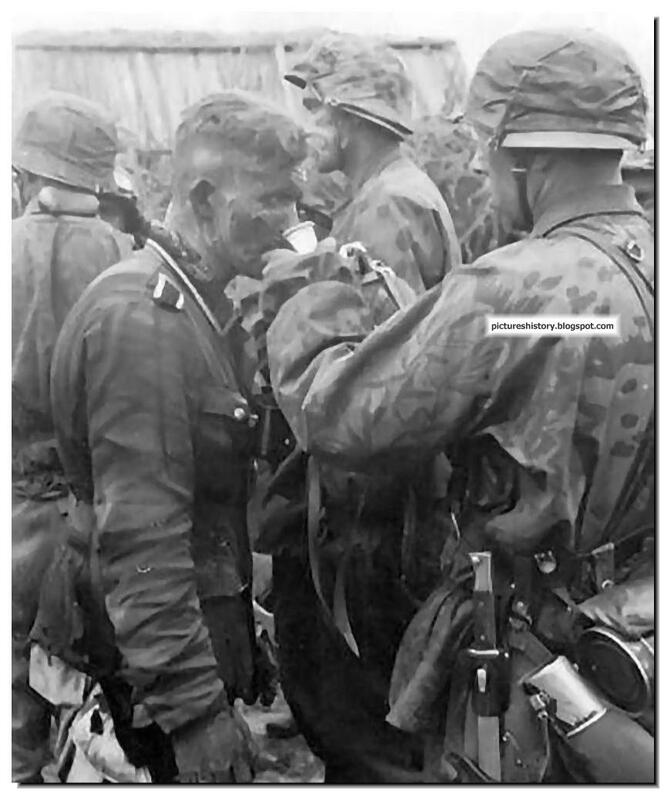 In preparation of a Waffen-SSsoldier, the emphasis was on physical endurance and moral superiority over the enemy. This was drilled into them. Even before the new recruits set about learning, they had to go through a very serious racial and ideological selection. Hitler insisted that potential soldiers of the divisions of the Waffen-SS were to be aged 17-22 years, had to have a growth of at least 1.8 meters and were in good physical shape. 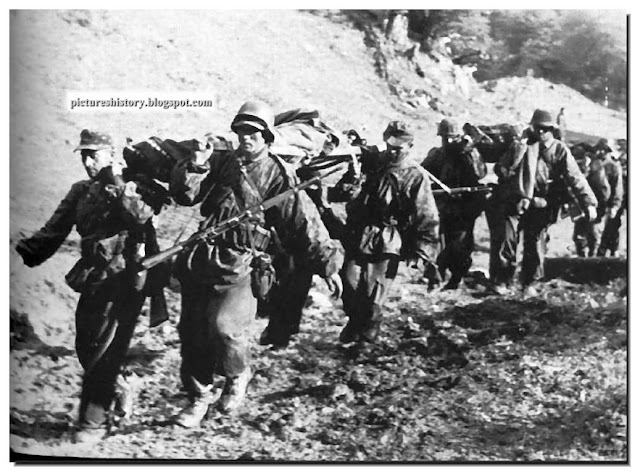 Each recruit had to be proportional in their constitution, without any kind of imbalance between the tibia and femur, or between the legs and torso, which should enable them to carry heavy loads over long distances. Also, the recruits were to have true Aryan appearance. Himmler said: "The main thing is that in their attitude to the discipline of a person not acting like a wimp. His gait, his hands - all must conform to the ideal that we have set ourselves." Aryan recruits should not have in no case a drop of Jewish or other subhuman blood. Verification led to ancestors since 1800 - for the soldiers and up to 1750 - for the officers. Those who were found to have "junk" blood, were refused. And if the lack of racial purity was detected after the start of the service, the man was fired. Potential brides for these men had similar requirements to make sure future offspring were pure Aryans. 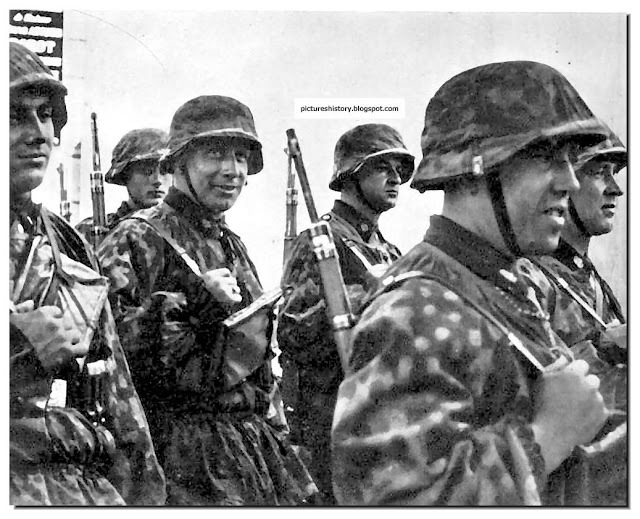 With the number of Waffen-SS was limited to the army to join the armed forces of the Nazi party as a result it was very difficult to find recruits in large numbers. But so appealing was a kind of mystical aura created around the Waffen-SS, it was not difficult to convince young people to serve in this elite formation. 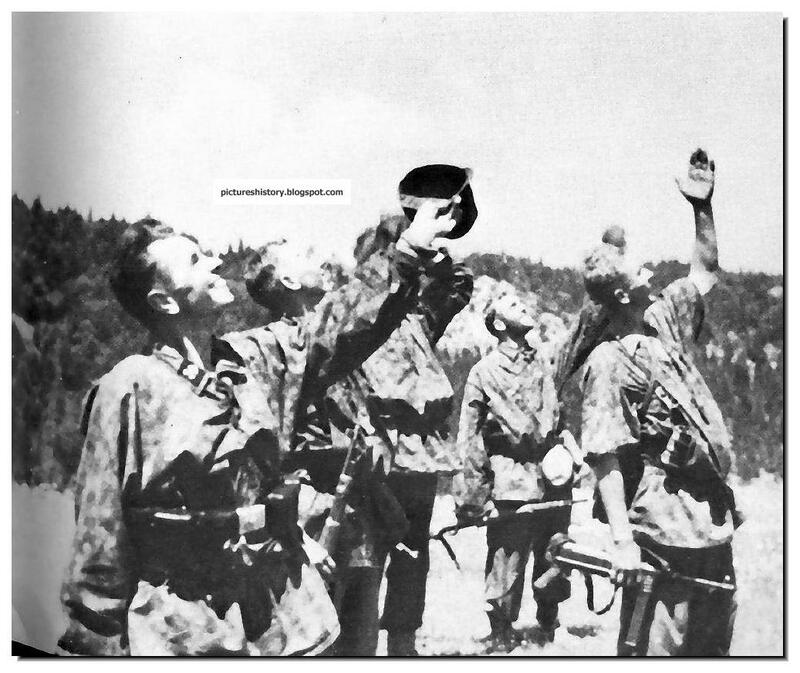 In contrast to the army conscripts, soldiers of the Waffen-SS recruits were to serve at least 4 years, non-commissioned officers - 12 years, and officers - for 25 years. 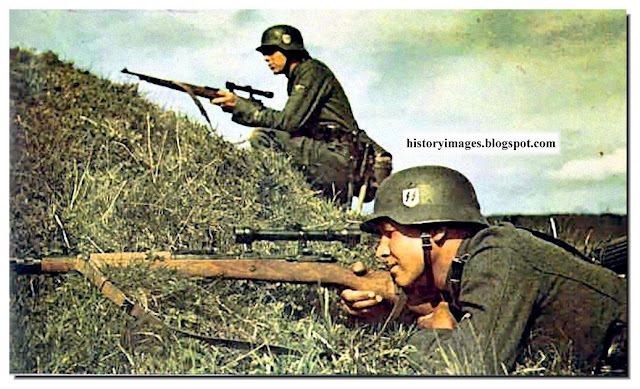 The relationship between the SS and German Army wAS complex and often antagonistic. In the course of the war, when Germany was forced onto the defensive there began an increasing split between senior officers of the Waffen-SS Himmler and the highest levels Allgemeine-SS (SS-arms) - the main administrative and political branch of the SS. By the beginning of 1944 the Waffen-SS veterans - military generals, such as Paul Hausser, "Sepp" Dietrich, Willy Bittrih and Felix Steiner, had already lost their illusions about Hitler's military strategy. 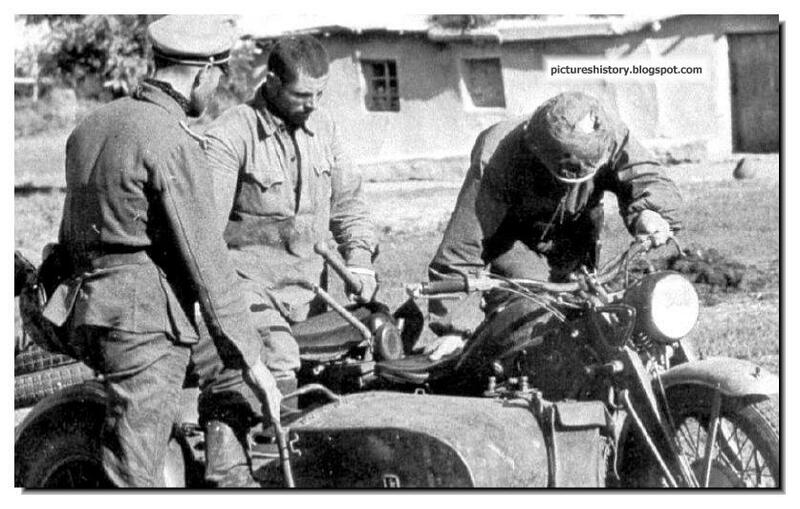 They lost thousands of men in bloody battles on the Eastern Front, and realized that Hitler's strategy of "no retreat" and "fight to the last" was leading to the defeat of Germany. Hausser's retreat from Kharkov in early 1943 was the first sign of Waffen SS leaders getting rid of illusions. It seemed obvious that the creator of the Waffen-SS did not want to sacrifice his best people in the senseless struggle for a city that had no strategic importance. Heavy fighting in winter 1943/44, when tens of thousands of German soldiers, including SS men, escaped death just because Field Marshal Erich von Manstein, organized breakouts and did not obey the orders of Hitler, also opened the eyes of many. 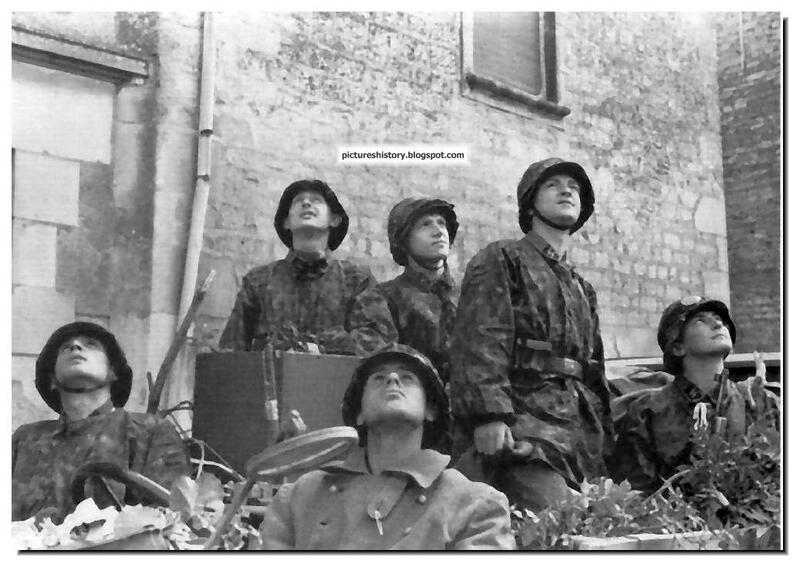 The senior commanders of the Waffen-SS gradually began to see clearly. They were convinced that they had more in common with the officers of the Wehrmacht, such as Manstein than to toadies who surrounded Hitler, or the SS bureaucracy, which worked for Himmler. Army and Waffen-SS were fierce rivals in the 1930s, but by the middle of war, their relations had lost their tension. This particularly applies to commanders of tank units. 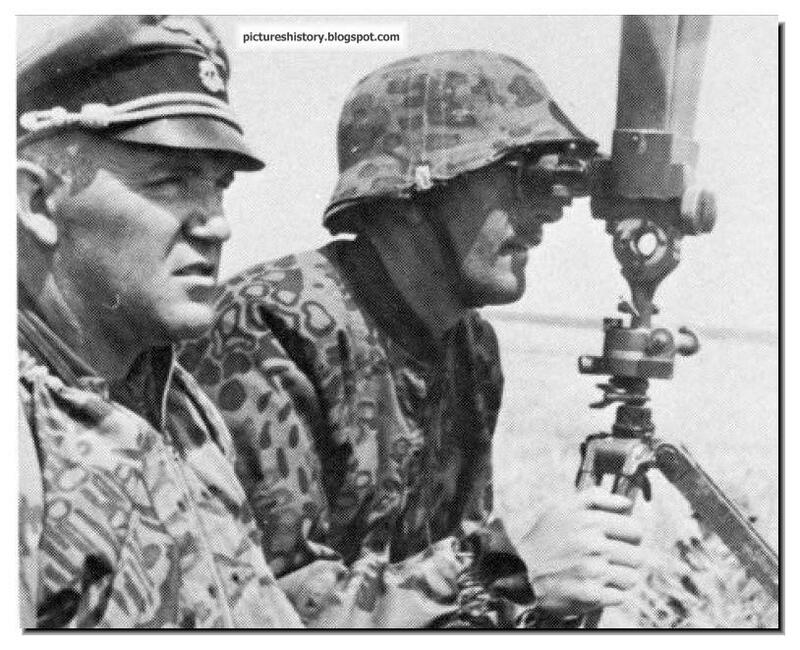 Field commanders of tank units of the Waffen-SS and the Wehrmacht fought shoulder to shoulder in the bloodiest battles on the Eastern front - it was there was born and was strengthened their mutual respect. Hitler for a time very graciously looked at the favorite commanders of the Waffen-SS Dietrich and others, but by 1944, and they too were treated with a high degree of suspicion. 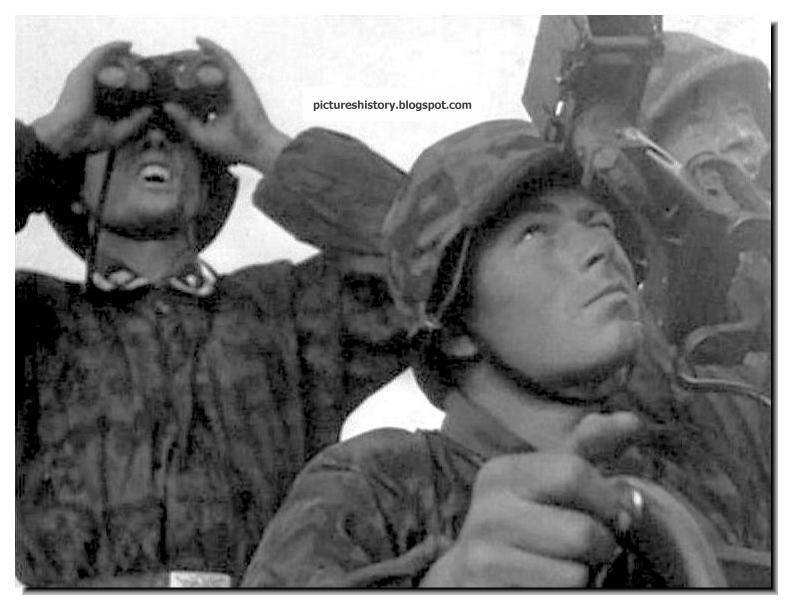 Himmler, too, was delighted with the views of Dietrich and Hausser. In political debate he openly sided with the army commanders. It is true. 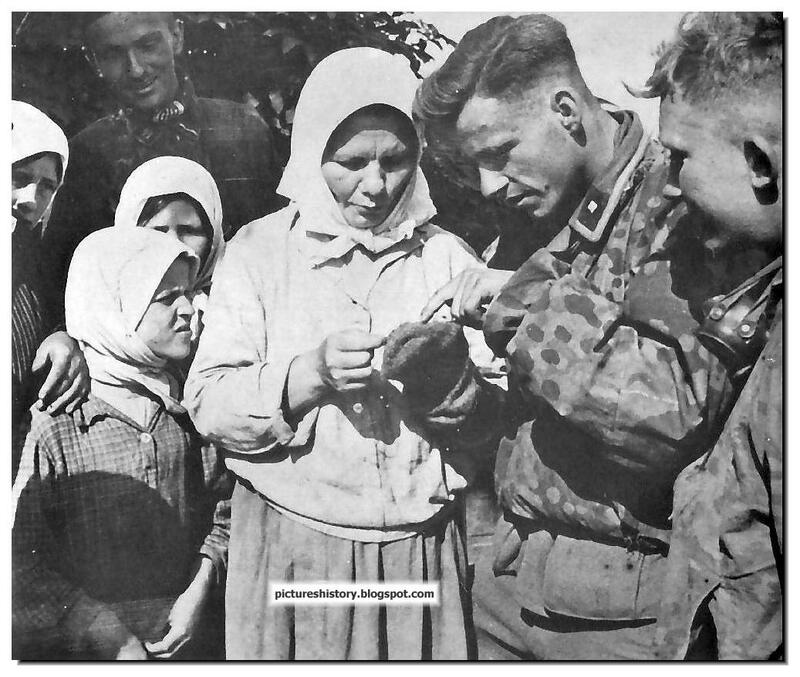 When the German soldiers entered the USSR in 1941, in many parts they were hailed as liberators and welcomed. 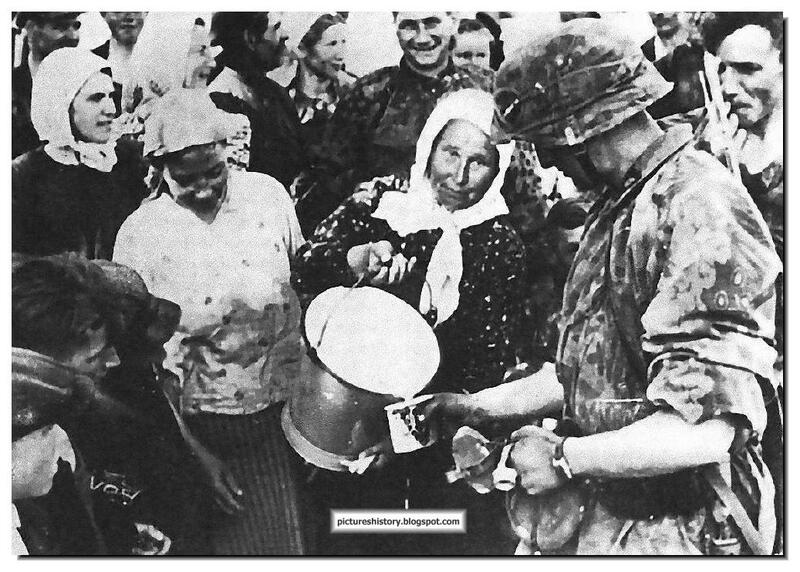 In the image a Russian peasant woman gives the SS soldiers milk to drink. At the post-war Nuremberg Trials the Waffen-SS was condemned as a criminal organization over its essential connection to the Nazi Party and involvement in war crimes. 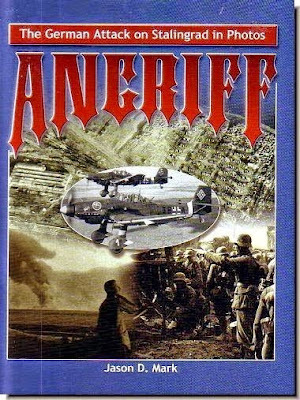 Waffen-SS veterans were denied many of the rights afforded to veterans who had served in the Heer, Luftwaffe (air force) or Kriegsmarine (navy). The exception made was for Waffen-SS conscripts sworn in after 1943, who were exempted because of their involuntary servitude. In the 1950s and 1960s, Waffen-SS veteran groups successfully fought numerous legal battles in West Germany to overturn the Nuremberg ruling and win pension rights for their members. The Warsaw Ghetto Uprising was the Jewish insurgency that arose within the Warsaw Ghetto from 19 April to 16 May, an effort to prevent the transportation of the remaining population of the ghetto to the Treblinka extermination camp. The only units involved from the Waffen-SS were 821 Waffen-SS Panzergrenadiers from five reserve and training battalions and one cavalry reserve and training battalion. Events during the Invasion of Poland raised doubts over the combat effectiveness of the SS-VT. Their willingness to fight was never in any doubt; at times they were almost too eager. The OKW reported that the SS-VT had unnecessarily exposed themselves to risks and acted recklessly, incurring heavier losses than Army troops. The Leibstandarte had now crossed into Greece, and on 10 April, 1940, engaged the 6th Australian Division in the Battle of the Klidi Pass. 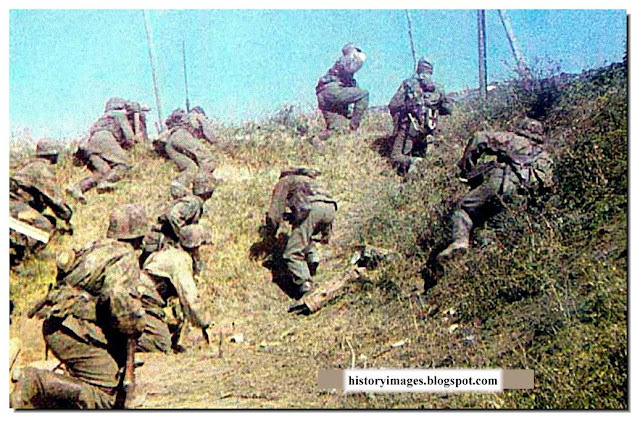 For 48 hours they fought for control of the heights, often engaging in hand-to-hand combat, eventually gaining control with the capture of Height 997, which opened the pass, allowing the German Army to advance into the Greek interior. 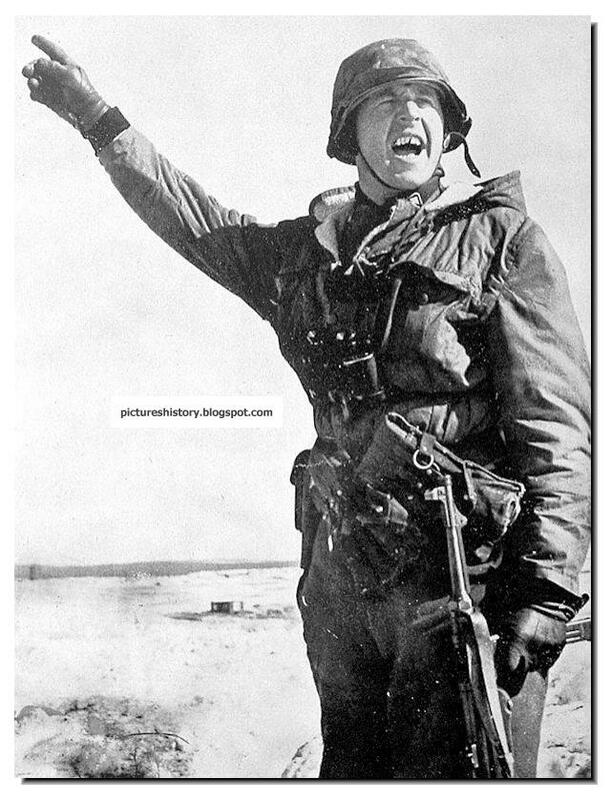 This victory finally gained praise from the OKW: in the order of the day they were commended for their "Unshakable offensive spirit" and told that "The present victory signifies for the Leibstandarte a new and imperishable page of honour in its history." The war in the Soviet Union proceeded well at first, but the cost to the Waffen-SS was extreme: the Leibstandarte by late October was at half strength due to enemy action and dysentery that swept through the ranks. Das Reich had lost 60% of its strength and was still to take part in the Battle of Moscow, and was decimated in the following Soviet offensive. The Der Führer Regiment was reduced to 35 men out of the 2,000 that had started the campaign in June. Altogether, the Waffen-SS had suffered 43,000 casualties. The Hungarian Third Army had been besieged in Budapest along with the IX Waffen Mountain Corps of the SS (Croatian) (8 SS Florian Geyer and 22 SS Maria Theresia). The siege lasted from 29 December 1944 until the city surrendered unconditionally on 13 February 1945. Some idea of the intensity of the fighting can be had by the fact that only 170 men of the 22 SS Maria Theresia made it back to the German lines. 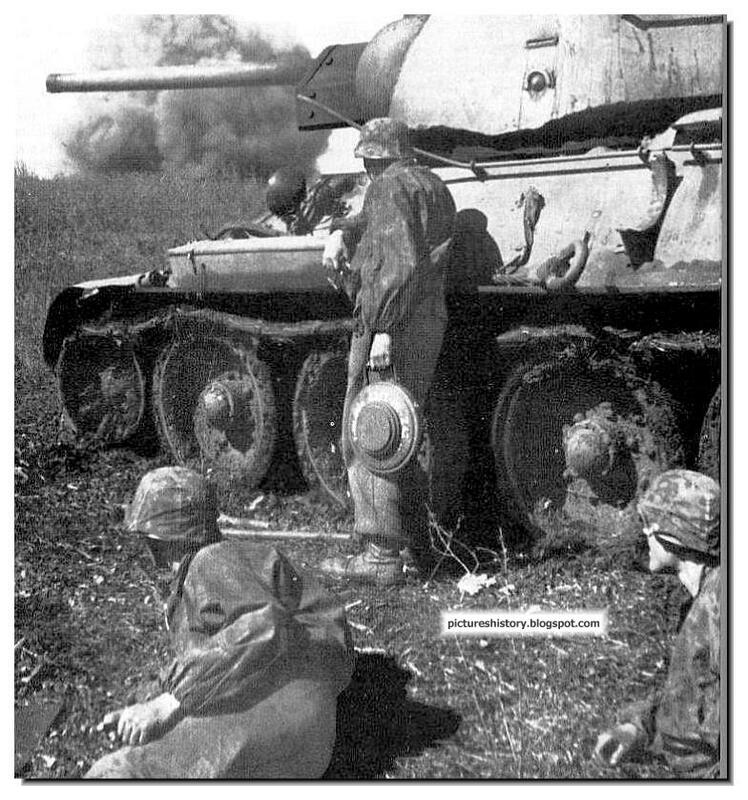 BERLIN 1945: Under pressure from the most intense shelling, the SS troops put up stiff resistance as the Red Army raced to take the Reichstag and Reich Chancellery. This condemned the SS troops to bitter and bloody street fighting. By 26 April, the Nordland defenders in the centre government quarter were pushed back into the Reichstag and Reich Chancellery. 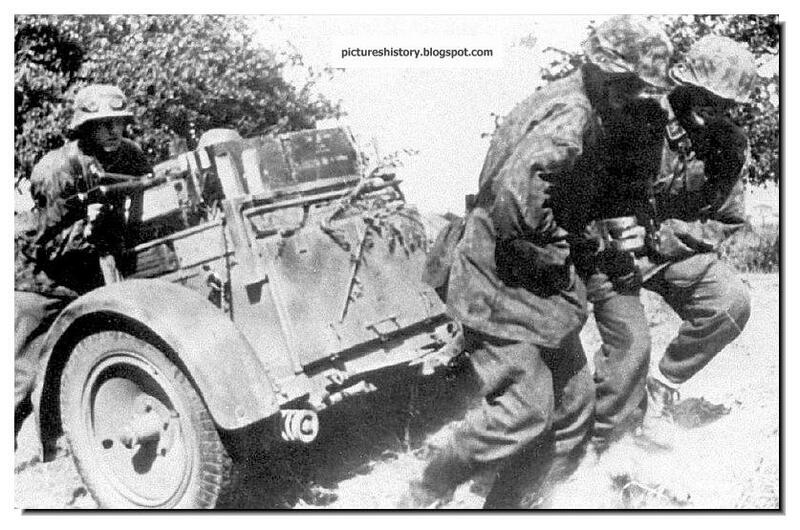 There over the next few days, the survivors (mainly French SS troops from the former 33 SS Charlemagne) held out against overwhelming odds. WHY WERE (ARE?) 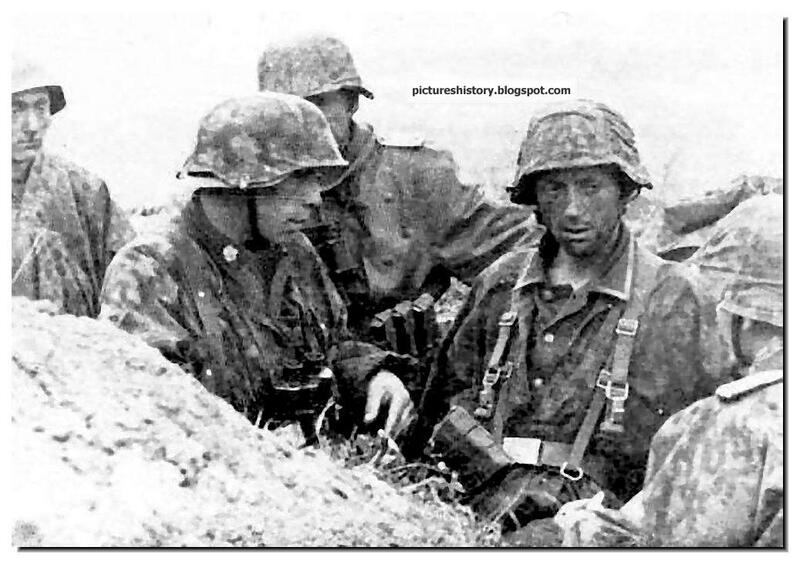 WAFFEN SS SOLDIERS THE BEST IN HISTORY? The Waffen SS were fierce fighters because of tough training, and racial beliefs. They were ideologically motivated unlike any other soldier during the war. They were also extremely loyal to Hitler and would die for him without a second hesitation. Besides training and motivation which made them deadly cold blooded efficient killers, they were also driven by Hitlers racial beliefs and laws. Every SS soldier was a die hard believer of the whole "Aryan being superior to all other races" thing. Their ideology and racial views fueled the holocaust in which the SS were in charge. This forever linked SS with racial hatred and hideous war crimes. Training and racial ideology practice made the SS devoted to Hitler in battle which made retreat or defeat not an option. They were the most feared para-military organization in history. What made them so good was the environment in which they trained. 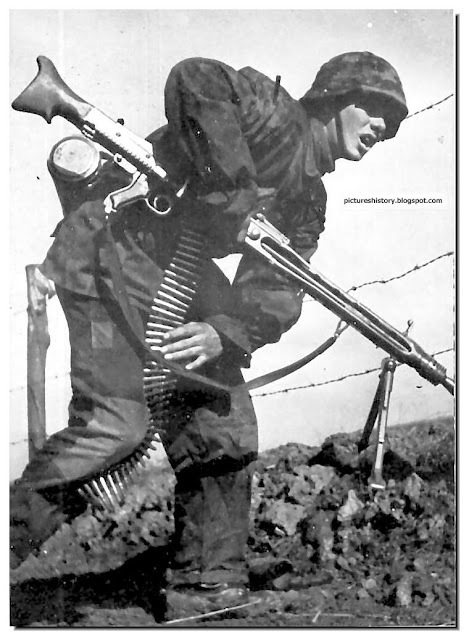 Waffen SS training was the hardest in the world at that time. They were the elite at that time. 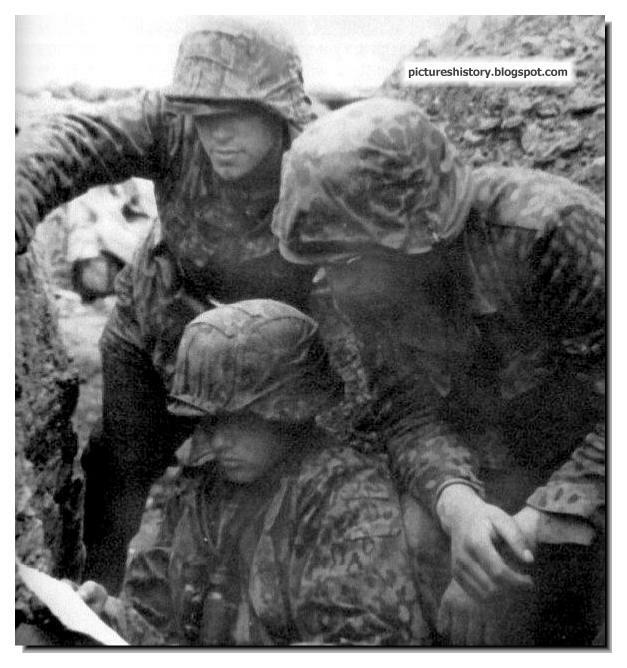 SS training was harder than modern USMC. What was hardest was Himmlers tough racial purity laws. Recruits have to be 5'10", no defective teeth, you couldn't wear spectacles, and had to trace your arian purity back to 1700. One third of canidates would fail physical inspections. All the training both physical and ideological turned men into the ruthless, skilled soldiers that were the Waffen SS. Intense physical and mental training, racial beliefs, and a brutal, fearless reputation that they earned themselves are what made the Waffen SS such a successful fighting force. 3rd SS Armored Division of the Totenkopf. 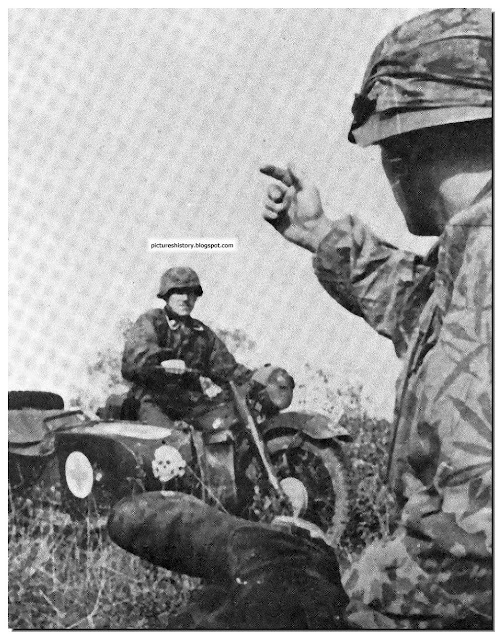 A soldier signals to the motorcycle rider that an ambulance is needed for the injured. The curtain of silence fell on the Waffen SS after the war but now more and more young people somehow know of its existence, of its achievements. The fame is growing and the young demand to know more. In one hundred years almost everything will be forgotten but the greatness and the heroism of the Waffen SS will be remembered. It is the reward of an epic. Normandy 1944. Soldiers of the 12th Armored Division of the Waffen SS "Hitler Youth" closely watch the sky, swarming with enemy aircraft. The 12th SS Panzer Division Hitlerjugend ("Hitler Youth") was a German Waffen SS armoured division during World War II. The Hitlerjugend was unique because the majority of its junior enlisted men were drawn from members of the Hitler Youth, while the senior NCOs and officers were generally veterans of the Eastern Front. The division, with 20,540 personnel, first saw action on 7 June 1944 as part of the German defense of the Caen area during the Normandy campaign. The battle for Normandy took its toll on the division and it came out of the Falaise pocket with a divisional strength of 12,000 men. Following the invasion battles, the division was sent to Germany for refitting. On 16 December 1944, the division was committed against the US Army in the Battle of the Bulge. After the failure of the Ardennes offensive the division was sent east to fight the Red Army near Budapest. The 12th SS eventually withdrew into Austria; on 8 May 1945, the surviving 10,000 men surrendered to the US Army at Enns. 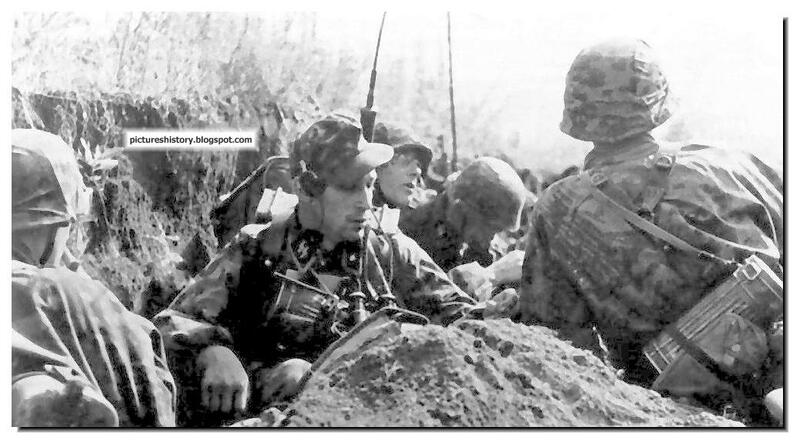 Machine-gun crew from the 3rd Armored Division of the SS "Totenkopf"
Soldiers of 3rd Armored Division of the SS "Totenkopf" in the trenches. A Waffen SS soldier in Russia during winter in a M42 pullover.